Read all about BarbieTM and her sisters' amazing adventures in the new animated series BarbieTM Dreamhouse Adventures in this Step 2 deluxe Step into Reading leveled reader--plus stickers! 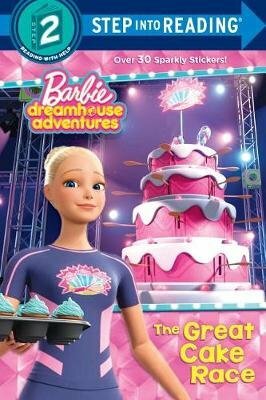 Barbie and her sisters--Chelsea, Stacie, and Skipper--always have fun as they travel all around the world in the new animated comedy series BarbieTM Dreamhouse Adventures. Children ages 4 to 6 will love reading this Step into Reading Step 2 Reader based on BarbieTM Dreamhouse Adventures. It features over 30 sparkly stickers! Step 2 Readers use basic vocabulary and short sentences to tell simple stories. For children who recognize familiar words and can sound out new words with help. Since 1959, Barbie has shown girls that they can live their dreams. From an astronaut to a chef, to the first woman president, she knows that girls can do anything!